An orphaned motel sign displays a 1937 photo of ‘Nob Hill’ developer D.K.B. Sellers. Lots of libraries are a trove of local history treasures. When a city wants to celebrate its history with a historical photograph, a visit to the library makes a lot of sense. 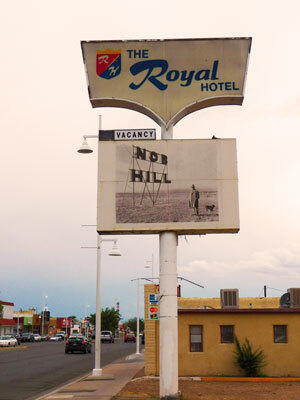 It’s a library photo that you might have seen on the old Royal Hotel sign if you’ve driven west on Route 66 through Albuquerque’s Nob Hill neighborhood recently. The photo shows the Nob Hill areas as it was in 1937 – empty land, with a large Nob Hill sign erected by developer D.K.B. Sellers (who is also in the photo). Showing the back side of the photograph does two important things. First, it tells people about the subject of the photograph in a more engaging way than printing the information beneath the photo would. 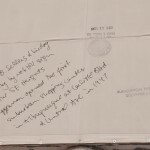 Second, in an age where photography is taken for granted, the stamps and notes give the context that this is a photo that is deliberately being preserved, and that it takes time effort, and commitment. 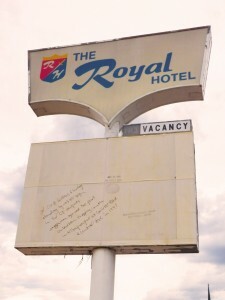 Only seeing the front of the photo, I wouldn’t give any thought as to how it wound up on the hotel sign. 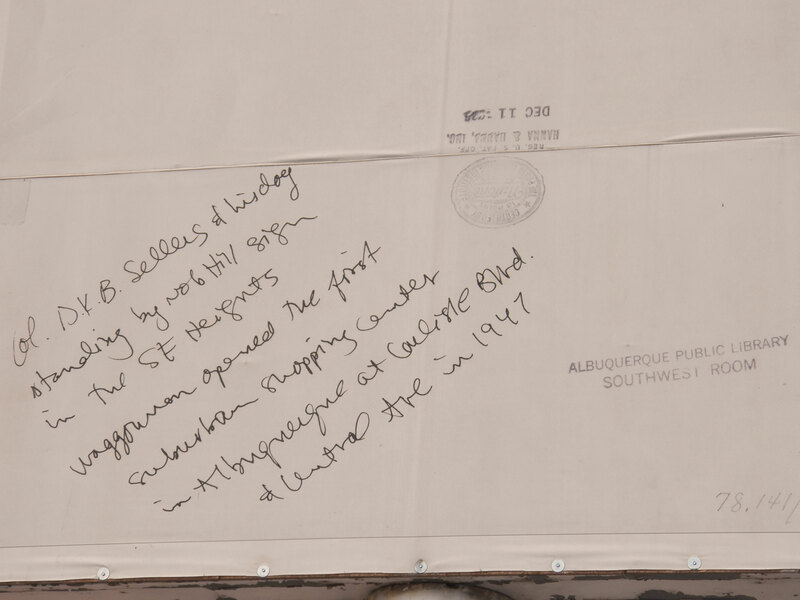 Seeing the note, I imagine a researcher looking through a box of old photos, and thinking “this one!” as he or she makes the perfect find. It also reminds us of the role of the library in the community – important things go there, and people find things there. It makes me smile every time I head East on Central.